Reliance are pleased to be one of the first companies to sign-up to membership of the new National Physical Laboratory (NPL) SME Manufacturer Measurement Network. Launched in October 2016, the Network enables members to benefit from NPL’s expertise by keeping their business at the forefront of measurement and validation technologies. Recognised for their high accuracy manufacturing, Reliance has an exemplary record of supplying customers with precision components and assemblies. To ensure they maintain these exacting standards and are able to continuously repeat this high level of manufacturing accuracy, metrology and inspection are an integral part of the manufacturing process. Metrology (defined as the ‘Science of Measurement’) focuses on identifying and quantifying the quality of measurements that are made. Reliance continually invests to ensure their measuring equipment is ‘fit for purpose’, ensuring national and international standards are adhered to. Reliance undertake full inspection of all parts at every stage of the manufacturing process, to make sure they conform to specification, ensuring all features are maintained in accordance with the relevant standards. In addition, they undertake post process inspections, a dedicated and detailed inspection after manufacture and prior to delivery to customer or assembly, not just on their own manufactured items but on all bought-in parts as well. 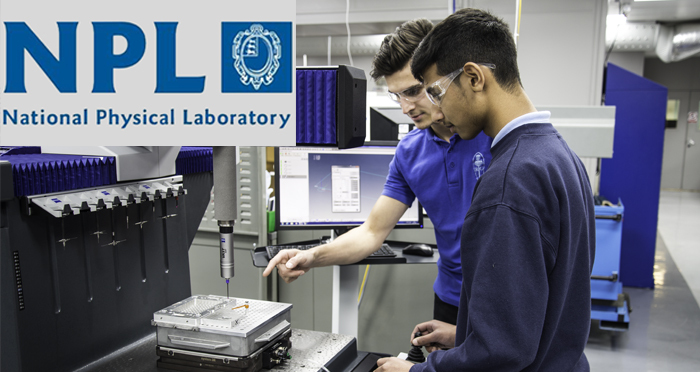 NPL is a world-leading centre of excellence in developing and applying the most accurate measurement standards, science and technology available. The NPL North of England hub, based at the University of Huddersfield, specialises in dimensional inspection and measurement of complex components and assemblies, CMM programming, and bespoke measurement training and consultancy. The NPL SME Manufacturer Measurement Network brings local businesses together to share their knowledge and expertise, to help members identify appropriate validation methods that will increase efficiency, reduce waste and improve product quality within their business.